And what you see down here is without top coat, so all the bumps and ridges are visible. 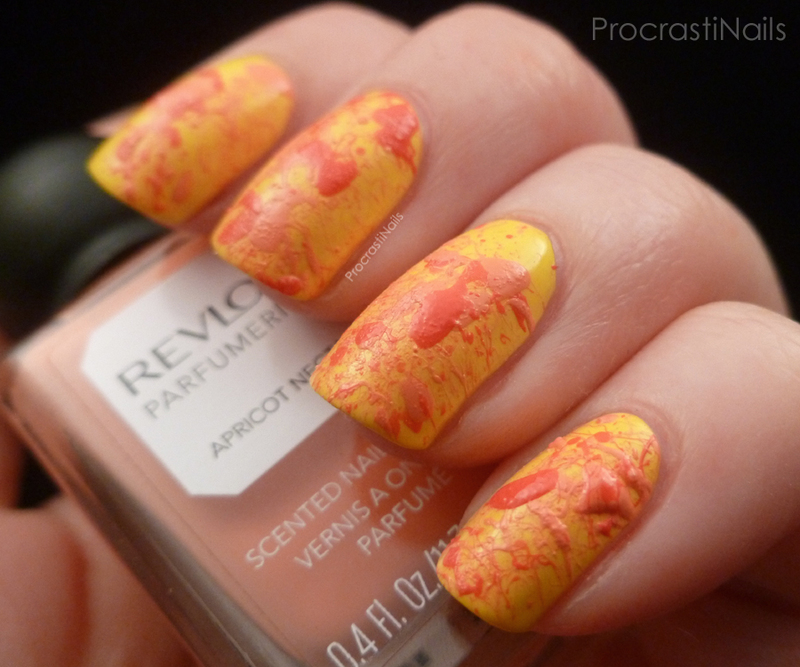 I think I actually like it better without top coat, but I'm curious to hear what you think! 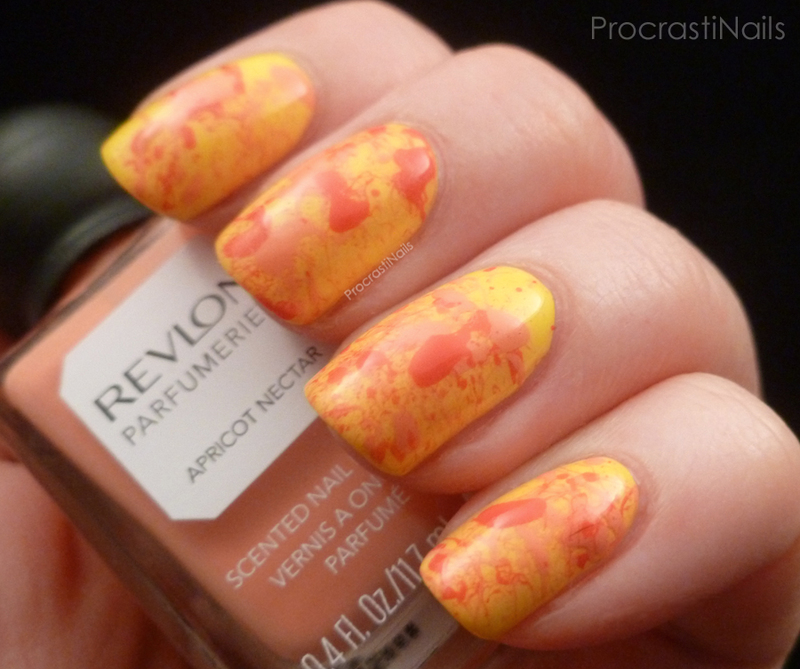 As I mentioned, all of the polishes used here were from Revlon's Spring 2014 Parfumerie line. 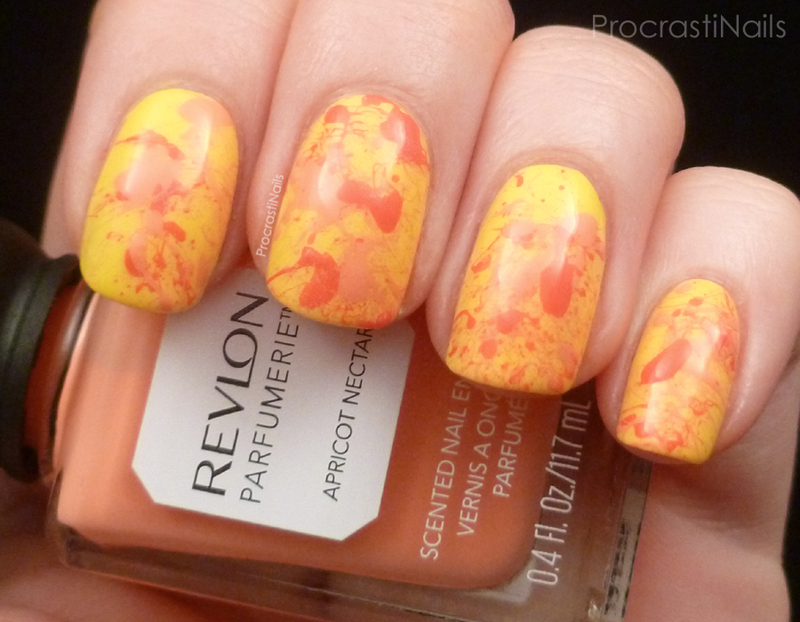 The base is Sunlit Grass, and the colours I used to splatter were Apricot Nectar and Ginger Melon. GM is actually a touch more pink in real life. 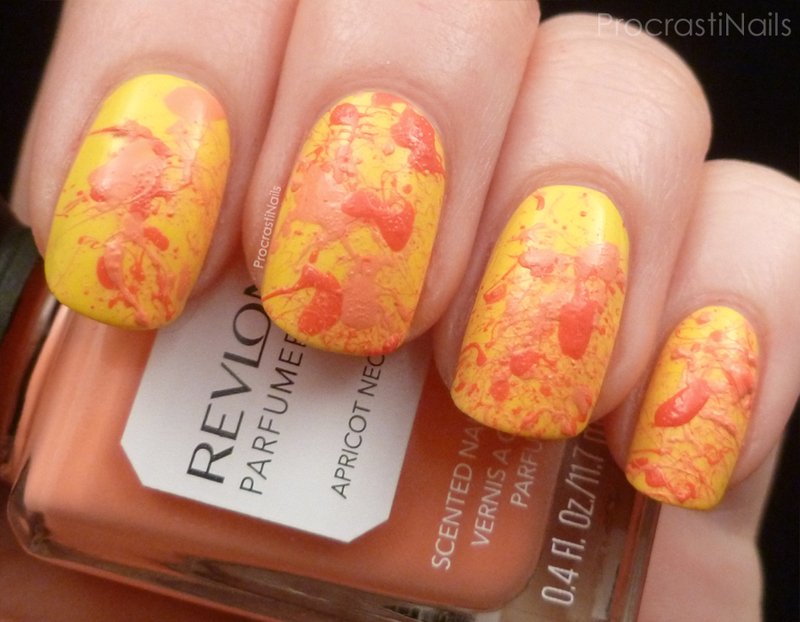 To get the splatter look I dipped a straw into a small blob of polish and then blew on my nails. I was surprised how much effort it took to blow! If you don't blow hard enough you don't get a splatter, but if you blow too hard it seems to sometimes blow the polish right past the nail. Definitely a technique I'm going to have to work on. Check out the other 'Something New' looks that have been done by the group, too! Great job on the splatter!